Ellesse 'Arbatax' men's retro 1980s logo panel t-shirt in sterling blue. Featuring a stylish colour block front panel in sterling blue and optic white. The Ellesse oversize half tennis ball and ski logo features on the sterling blue panel whilst the iconic Ellesse signature runs across the optic white portion. The back of the t-shirt is in sterling blue. 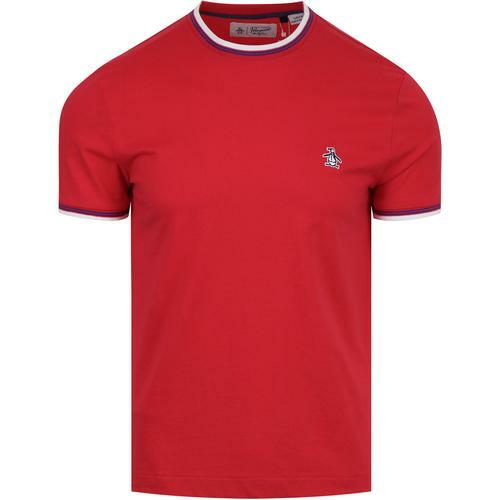 The Ellesse 'Arbatax' men's retro crew neck t-shirt is inspired by vintage 1980s styling. 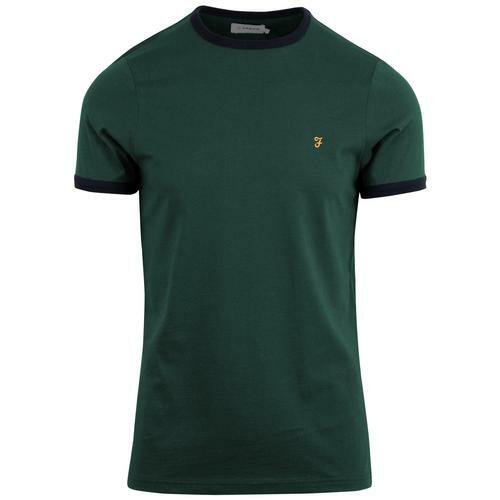 With a classic casuals and indie sports vibe, the 'Arbatax' tee from Ellesse will look great teamed with jeans, retro trainers and indie track top this summer season. 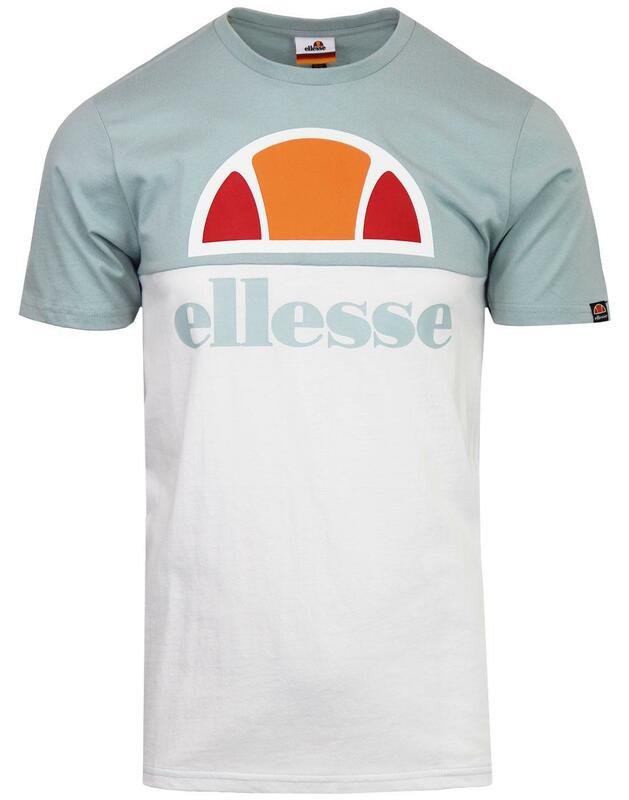 - Ellesse 'Arbatax' men's retro 80s colour block panel logo tee. 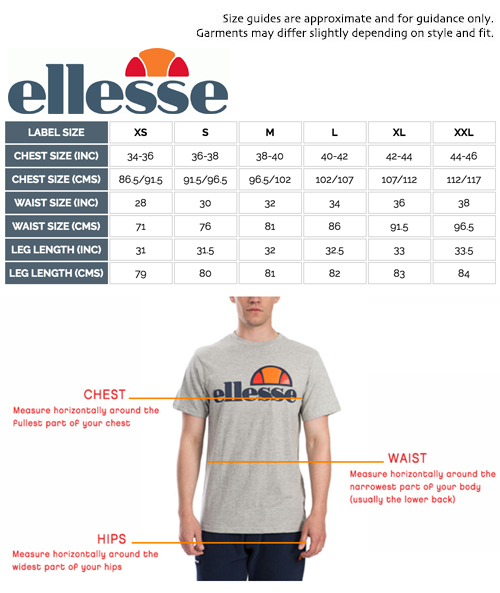 - Oversize half tennis ball and ski Ellesse motif to chest. - Colour block front panel. - Colour: Optic White/Sterling Blue. 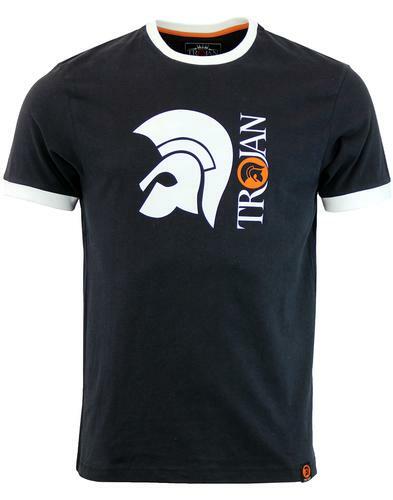 - SKU: SHX03430 Arbatax T-shirt.